Zhengzhou Livi Machinery Manufacturing Co.,Ltd is the leader and specialist of Chinese poultry equipment manufacturer especially for automatic broiler rearing equipment. 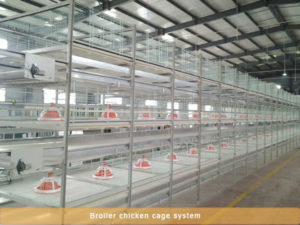 Livi Co.,Ltd equiped all the devices of broiler rearing equipment that are characterized by automatic chicken feeder pan, conveyor type manure removal system, climate control system, computerized control system and broiler chicken output system. 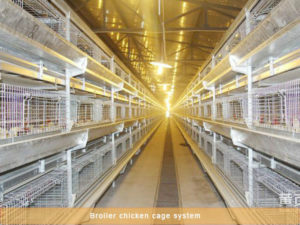 We would like to offer you a complete set of broiler rearing equipemnt including A-type and H-Type broiler cage system with reasonable price and guaranteed quality, advanced and automatic broiler drinking system and automatic broiler feeding system. I sincerely recommend Zheng zhou livi Co.,Ltd’s poultry cage system to you, because a professional team has forged the brand of Livi’s poultry equipment. Don’t hesitate, just believe our strong strengh. Livi will not let you down. We are looking for sincere customers for long-term cooperation, so if you are interested in broiler rearing equipment system or any other needs, please get contact with us.